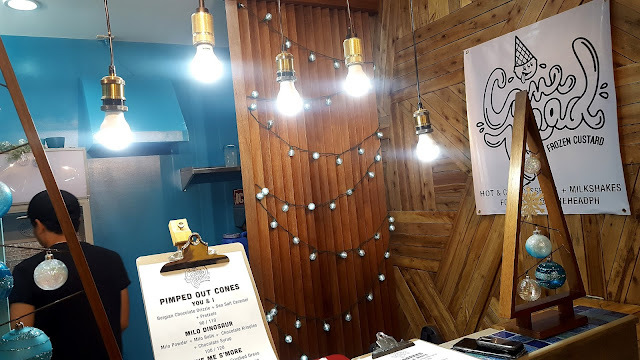 There's a new food park in Kapitolyo yet again. But this time it's different food scene altogether. It's an old house (or shall I say mansion, judging by the size of the house) turned into a foodie heaven housing different kinds of food stalls. Food Haven 77 is a multi-concept indoor/alfresco resto-hub that houses over 20 unique and craving-worthy food and drinks stalls. 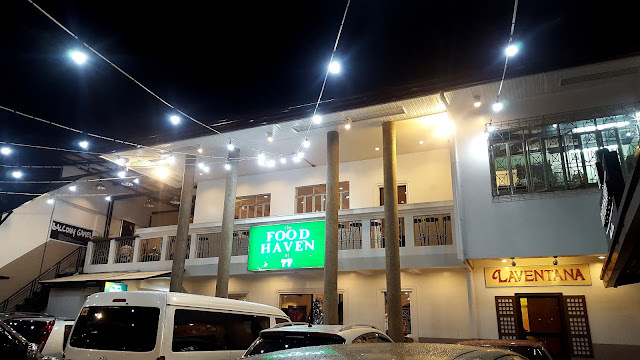 Food Haven also has its own bar that serves local and imported beers and other spirits. Food Haven 77 is the newest place to have your next food trip. 2-story full of stalls to choose from so you wont run out of choices. It's actually the first food park that I visited that is fully-air conditioned. We visited this after having a boodle fight at Gerry's Jeepney which is just right across the street. We checked out their dessert offerings and H decided to treat us with frozen custard from Cone Head and Churros from Xurreira. 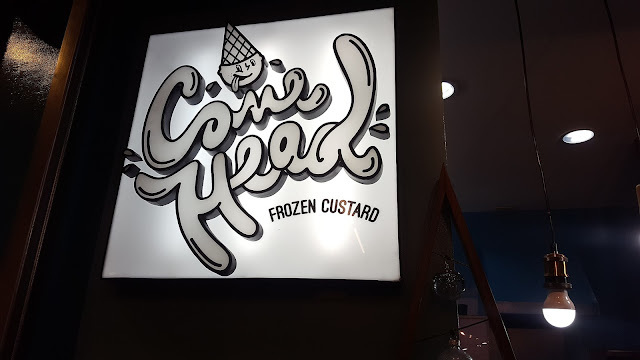 Cone Head - specializes in Desserts/Ice Cream. Frozen custard made with local dairy and the best ingredients we can get our hands on. 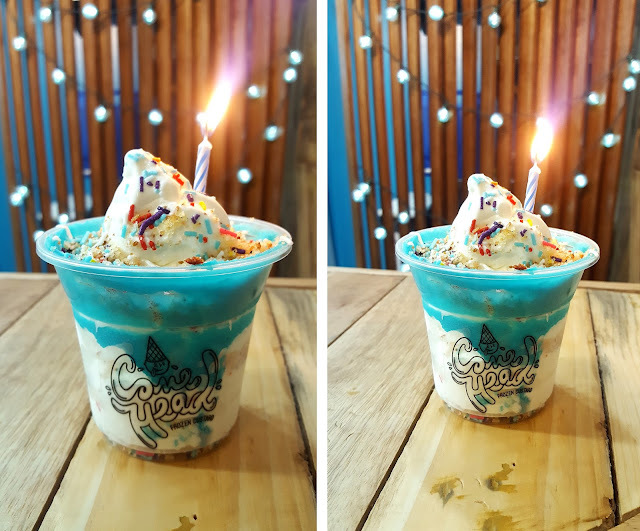 Cone Head's Birthday Wish - the frozen custard tasted ok. I was expecting it would be very sweet but it wasn't. The toppings added a lot of texture to the plain frozen custard. But I must give it some praises for the presentation; complete with a lit mini birthday candle. Cone Head's Cereal Killer - honey stars, frosted flakes, fruit loops, condensed milk and milk powder. 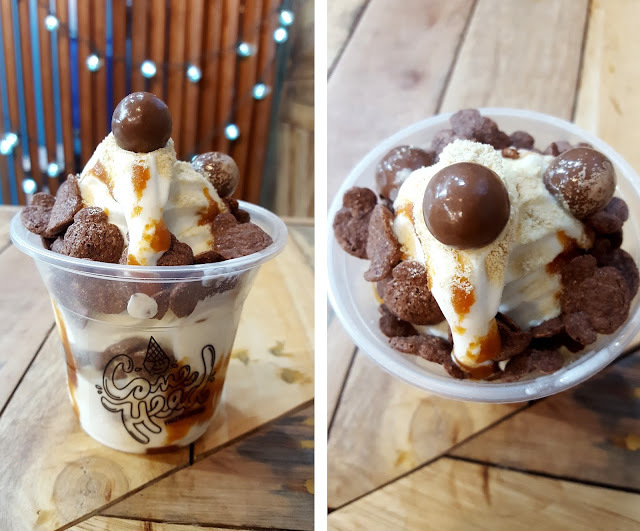 If you're a cereal lover, you will definitely enjoy this variant.